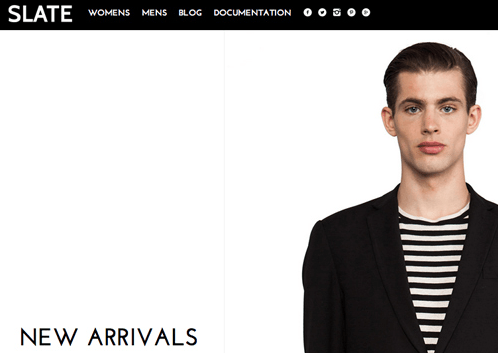 You are running an ecommerce site powered by Shopify. Even though Shopify provides you with many wonderful features of online stores, it is never enough to automate activities and boost sales. App stores offer you a wide range of apps (+500 apps), which are awesome and many of them are free.  There is nothing better than increase revenue without any cost. 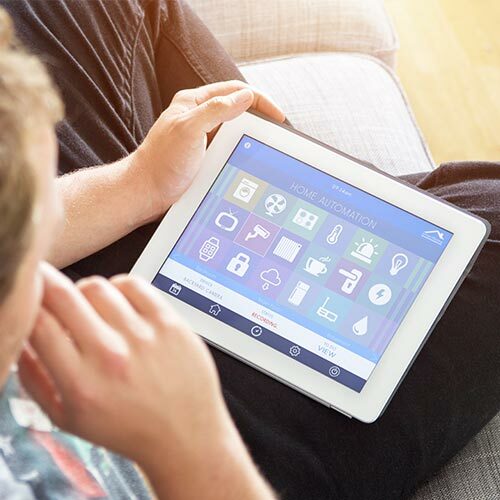 There are too many apps out there so how can you select the most useful ones? 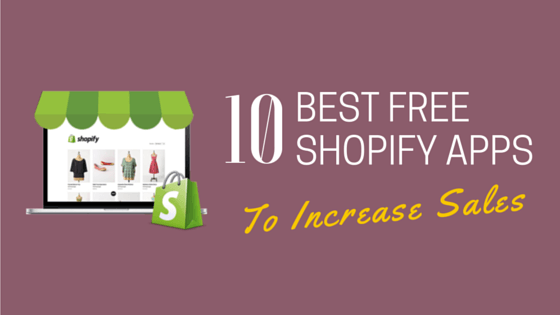 Ok, let‘s see top 10 FREE shopify apps to rocket your sales. If you are starting business with Shopify, it is of great value to pay attention. Quick View app has been standing in top 4 globally for a while with more than 270 good reviews from real customers. 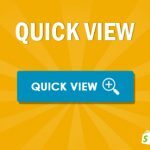 Its purpose is very simple, which is to give your customers a quick access to product preview in one click without reloading the whole site. 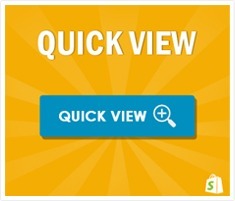 Using Quick View app helps to reduce the shopping time and of course, bring great shopping experience to customers. This convenience encourages customers to make sales because it helps their shopping much faster and easier. 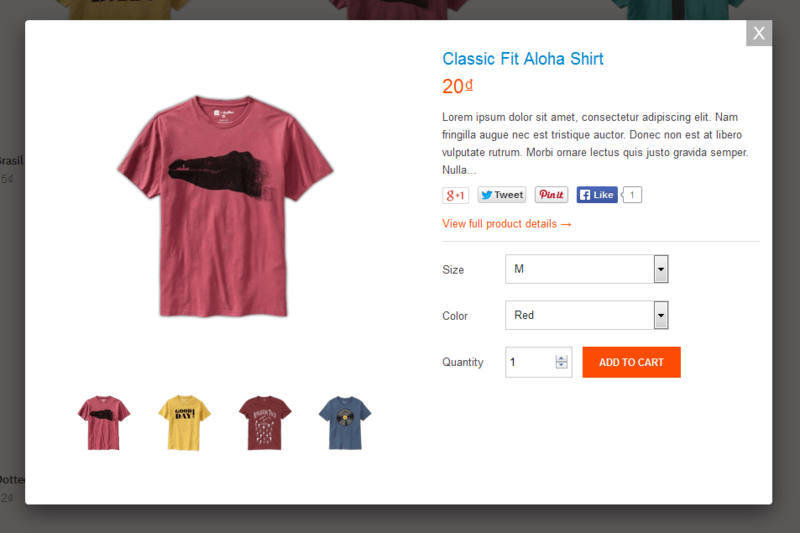 Especially, products can be added to their cart from the Product Quick View page. Anyone loves free gifts. It is not only a best way to motivate customer to purchase but also to create customer loyalty. 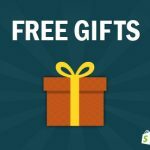 In addition to giving customers free gifts, the free gift app can offers customers discounted gifts. By this way, store owner can select products as gifts with higher value. Printful provides fullfilment services, which is located in California, US. They offer free Printful app for your Shopify Store. You have beautiful designs but you don’t have enough resources to complete the whole process from printing, packaging and shipping. Printful will do it for you. 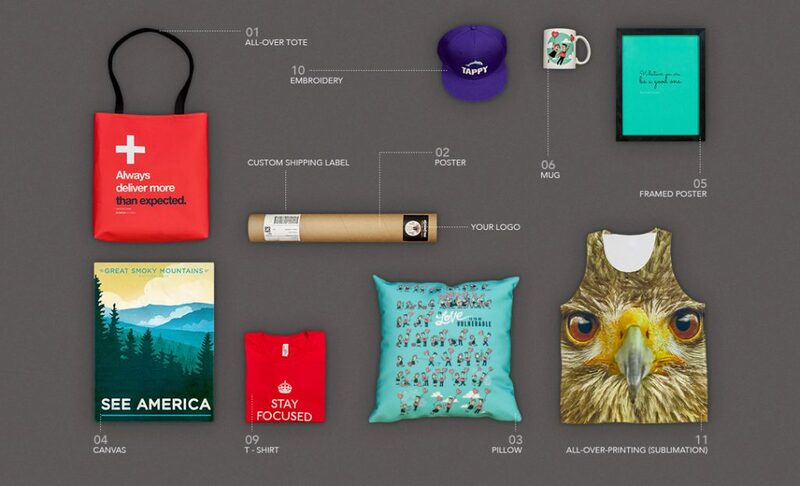 Printful offers variaty of products including T-shirts, mugs (11oz and 15oz), hats, posters, totes, all over sublimation printing and pillows. The Printful is a great choice for those just starting out and want a “low” cost and quick setup of an apparel and accessory brand. Rewarding points for customers when purchasing at your store is not a new idea. However, it has never been underestimated by online store owners. If you are considering to choose a reward points app, we would recommend you The Loyalty Program app from Sweet Tooth. This app has received more than 900 good reviews and a thousand of stores are using it. What can you do with Sweet tooth? If you have limited budget, you still can enjoy this app if your total loyal members are fewer than 500. Promotion Pop up is wonderful app that helps to increase your conversion rate. 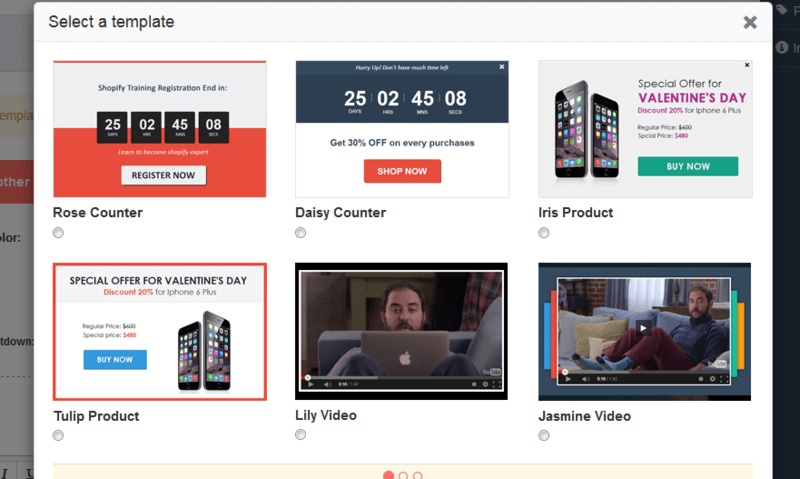 Pop up can be in range of event, subscription, coupon, social sharing, etc. 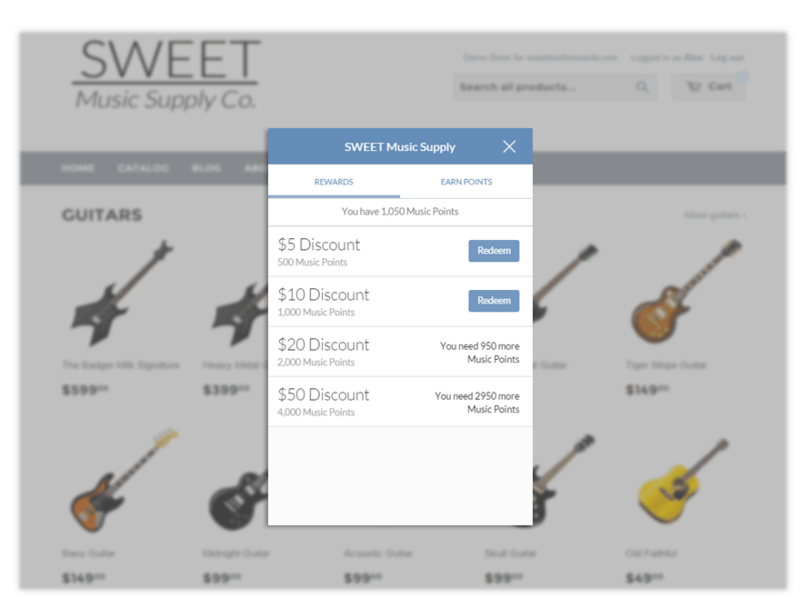 Show Pop up at anywhere you want from Landing page, home page, cart page, checkout page, etc. Are you showing special products (Hot, New, Sales, etc) but customers doesn’t notice? How can you attract customers? With Product Label, you can highlight special products with colorful label images and call – to – action text. This app allows you to add labels based on predefined rules. You can create Labels for individual products, all products in a Collection, Out of stock products, On Sale products, New products or mix these rules together. In order to increase sales, you should not forget email marketing. Normally, you need to update manually the customer list every time you want to send a campaign. Now, forget it. 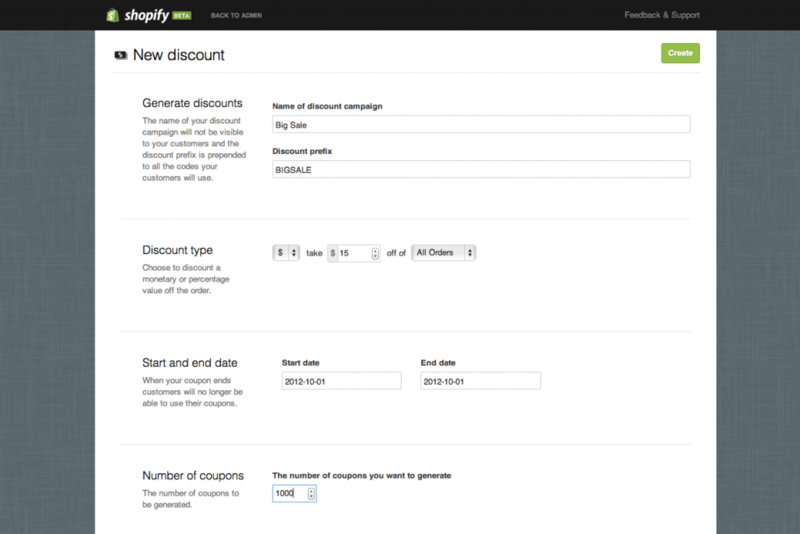 With MailChimp app for your Shopify store, new customers will be subscribed automatically. 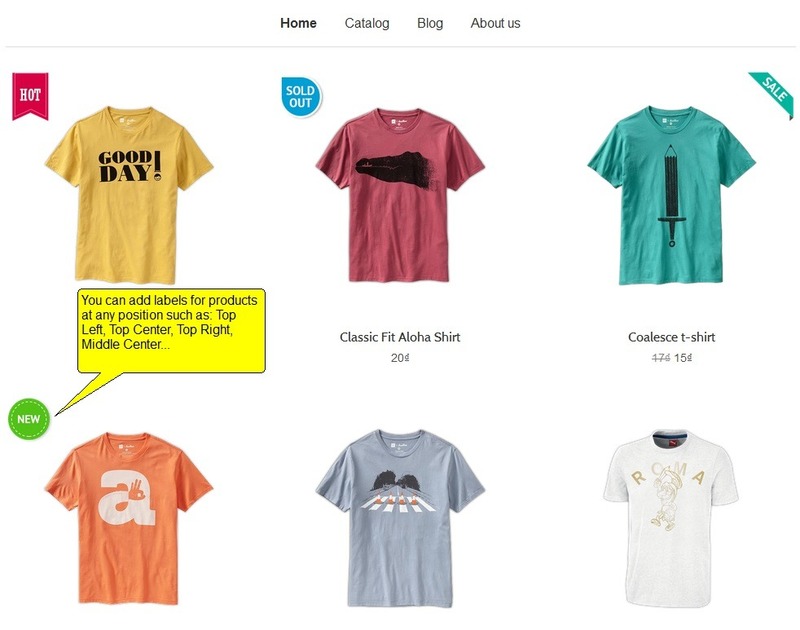 Moreover, MailChimp can create targeted email campaign based on customer buying behavior. 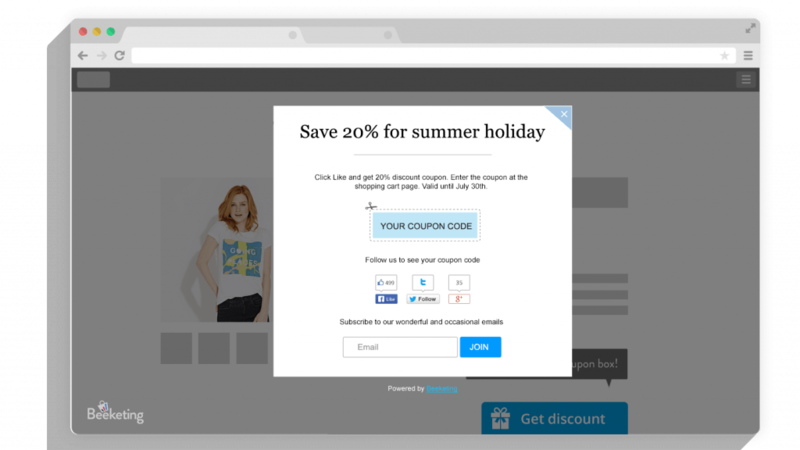 Better Coupon Box is an other awesome app for Shopify stores. It offers visitors discount coupon when they follows your store social accounts and subscribe for newsletter. Its purpose is simple, which promotes your brand in Social channels (facebook/ twitter) and increase customer email list to sell more with email marketing. 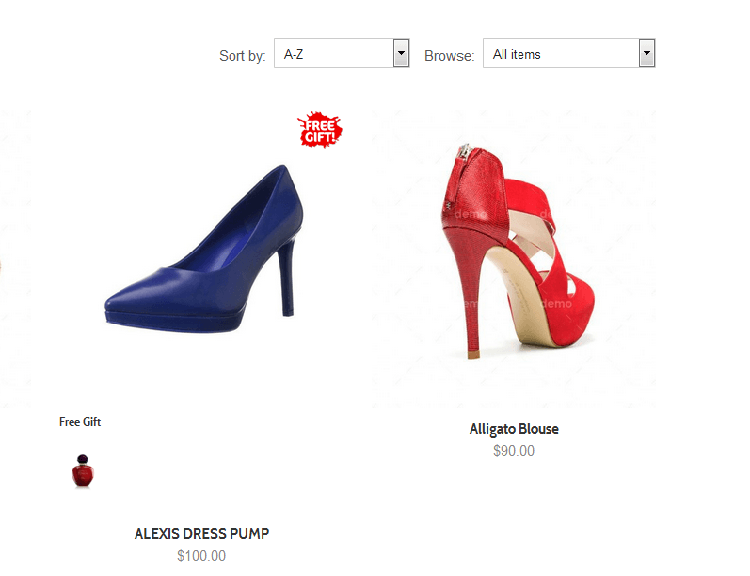 Discount promotion is always necessary for online stores to boost sales. How can you create unique codes and track them? Bulk Discounts – made by Shopify – is a must have app that helps you generate thousands of unique discount codes in a few clicks. What can Bulk Discounts app do? 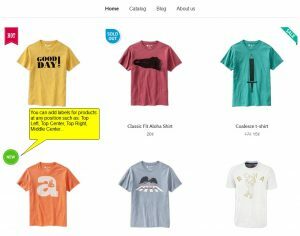 Export discount sets as plain text Note: Stores on Shopify’s ‘Starter’ plan don’t have access to Discounts and won’t be able to use the Shopify Bulk Discounts app. 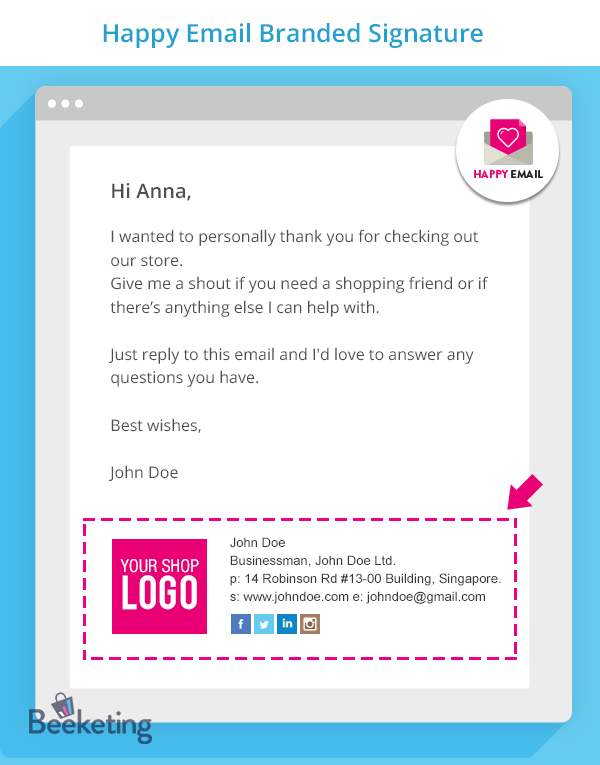 Happy Email – The easiest way to say thanks and show your care to customers! The happy Email app helps customers to take care of customers and make them happy by sending thank – you email automatically after purchasing at your store. This builds customers’ trust on your brand. In addition, you shouldn’t need to worry about content. Happy Email will do it all for you. Hopefully, with above suggested app, you will finds most suitable useful apps to boost your sales!